Therefore, our three pharma brands, Chemo, Exeltis and mAbxience, are now grouped together under this name. This new identity is the result of the development and diversification of the company’s pharma activity. Madrid, 24 November 2017–From now on, Chemo Group, the pharmaceutical multinational that is present in over 40 countries, is going to be called INSUD PHARMA, a name that encompasses all of the different brands in our pharmaceutical business. So, under this new name, we are integrating our three areas of business and well-known brands: Chemo, Exeltis and mAbxience. Chemo is the Group’s industrial division, and a leader in research, development and the manufacture of finished dosage forms and active pharmaceutical ingredients for the main therapeutic areas. Exeltis, which is present in over 40 countries, including Spain, is engaged in the areas of sales and marketing, with a strong portfolio of brand-name drugs, in particular for women’s health, dermatology, endocrinology and the nervous system. mAbxience is our international biotechnical company, specialising in research and the development, manufacturing and global marketing of biosimilar monoclonal antibodies for the treatment and prevention of diseases in various therapeutic areas. So, by creating Insud Pharma, we avoid the overlap that has existed thus far between the name of the Group (Chemo Group) and its industrial business (Chemo). This new corporate identity is the result of the development of the company, which was established four decades ago and has been growing and diversifying its business in various pharma activities. In the words of Leandro Sigman, the Chairman of Insud Pharma, “everything began with Chemo. Our industrial business laid the foundations for building what is now Insud Pharma. What was once an ambitious dream has become a large project, made up of various business units and brands. Brands which it was necessary to group under a single umbrella”. 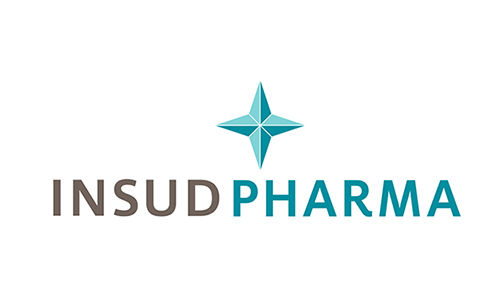 Insud Pharma is a pharmaceutical multinational with a history spanning back over four decades and a commitment to preserve and improve the health and well-being of people. The Group is present in over 40 countries in Europe, America, Asia and Africa and has more than 6,000 professionals, fifteen plants, 10 R&D centres and more than 35 affiliated pharmaceutical companies, which provide high-quality and affordable drugs and services to patients across the world.